When it comes to the correct way for pedestrians to cross the street on a trail crosswalk, not many are educated on the state law. 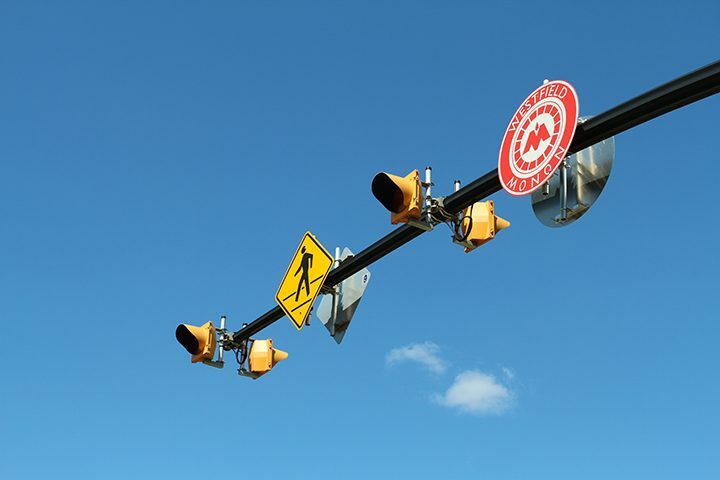 The City of Westfield has recently taken an initiative to educate pedestrians and drivers on right-of-way legalities. The initiative began when residents complained on the social media app Nextdoor. The more the city looked into it, the more it was clear there was confusion on the law. Westfield Police Dept. Chief Joel Rush said pedestrians do not have the right-of-way at crosswalks. Drivers do. There are already signs in place alerting trail users that cross traffic isn’t required to stop. But when pedestrians are already in the crosswalk, Rush said the drivers must yield. With regard to trail safety, Rush said confusion often stems from polite drivers waving pedestrians to cross when drivers coming from the opposite way don’t plan to stop. 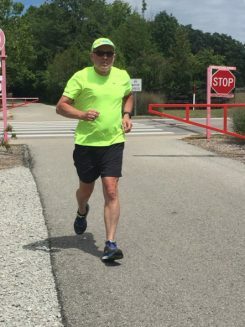 Rush is an active trail user and runs the trail multiple times a week. He said he prefers drivers not stop if they see him or other users on the trail. Rush said there’s frustration on both sides, with drivers angry when another driver stops when they have the right-of-way. There’s also anger about pedestrians not being educated on the law and crossing when they do not have the right of way. Bill Kirsch, a Westfield resident and frequent trail user, recalled a situation when a driver stopped to let him cross and was then rear-ended by another driver. 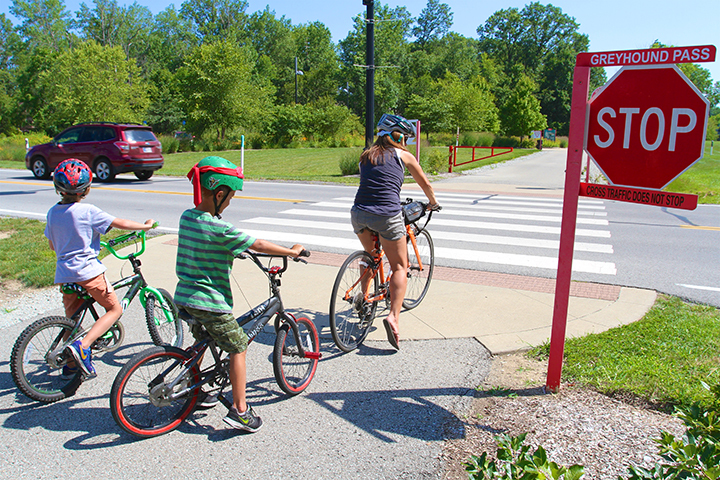 To aid in educating the public, the city ordered new “yield to pedestrians within crosswalk” signs to be placed in Monon Trail crosswalks to alert drivers to be aware and yield to pedestrians if they are already in the crosswalks. However, there are already stop signs in place to alert pedestrians they must stop. 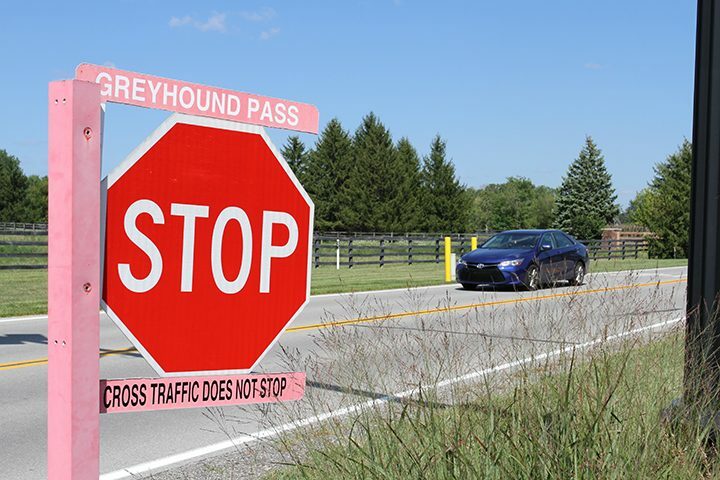 The first sign will be placed at the 161st Street crosswalk in the coming weeks. City spokesperson Erin Murphy said this effort is to focus on safety until a permanent solution is funded.